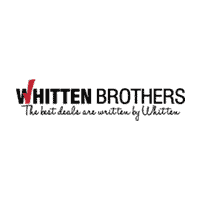 At Whitten Brothers of Richmond we have a wide selection of used cars, trucks, and SUVs. Choose from popular used Makes such as Chrysler, Dodge, Jeep, Ram, Mazda, Honda, Ford, Toyota, Nissan and Chevrolet. With an innovative used car pricing structure, you'll want to check out our selection of popular car models inside and outside the Chrysler Dodge Jeep Ram Mazda family. We keep a large inventory of pre-owned cars such as the used Honda CR-V, used Ram 1500, and used Ford F-150. Browse our website and then visit our Richmond dealership to see what we have in stock and to take a test drive of the used car, truck, SUV, or van that you've been wanting.